What is education and what is it for? Where does education take place? What is being taught in schools and universities and why? What is the state of education across the world? With further reading throughout, Education: The Basics is essential for all those embarking on undergraduate courses in Education and Education Studies, and for those with an involvement in teaching at all levels. 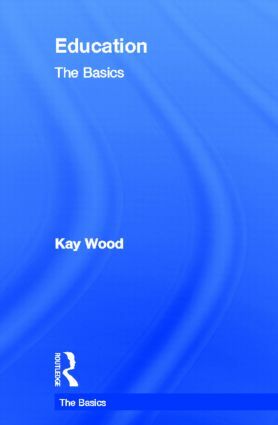 Kay Wood recently retired as Head of the Department of Education and Childhood Studies at Bath Spa University. She has experience of secondary teaching and in-school training, and for twelve years acted as Access tutor, promoting wider access to education at all levels. Her primary research interests are international education, the sociology of education and education policy.